Zombies, Satan and a road-trip? I was so excited when approached about reading this book – what better ingredients could there be for a good story? Jonah is one of those “background” kind of guys, smart, kind and just not that lucky with women. His best friend Dale is his exact opposite, not the sharpest knife in the block, has women chasing after him and frankly is a bit of a tw@t. On their way to perform at a gig in Reno, Jonah decides to take a detour to California and reunite Dale with his estranged father, with disastrous results. Compelled to drive across the country in search of Dale’s soul, all the while trying to keep a zombie from eating everyone in sight and try not to fall into Satan’s traps it’s going to be a long week. My favorite part of the book was definitely in the final stages, when Jonah has to take some pretty extreme measures to stop the stench of the rotting zombie in the backseat, and my favorite character was Satan, who is surprisingly funny for the Prince of Darkness – although I guess you’ve got to have a sense of humor in his line of work. The only problem I had was towards the end when there is a change of plans due to the dodgy past of Candy the stripper (oh yes, what a cliché! ), it was necessary for the story but it distracted me from the flow of the book. 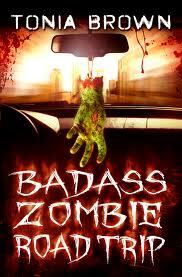 Overall, if you like zombies, road-trips, Satan and a laugh, this is a book you’d really enjoy. You can pick it up in either e-book for or a hard copy. I consider myself a fan of the hard copy.